Air France www.airfrance.com is a founding member of SkyTeam and is the French flag air carrier which is headquartered in Tremblay-en-France. It is a subsidiary of Air France-KLM, which is Netherlands based. 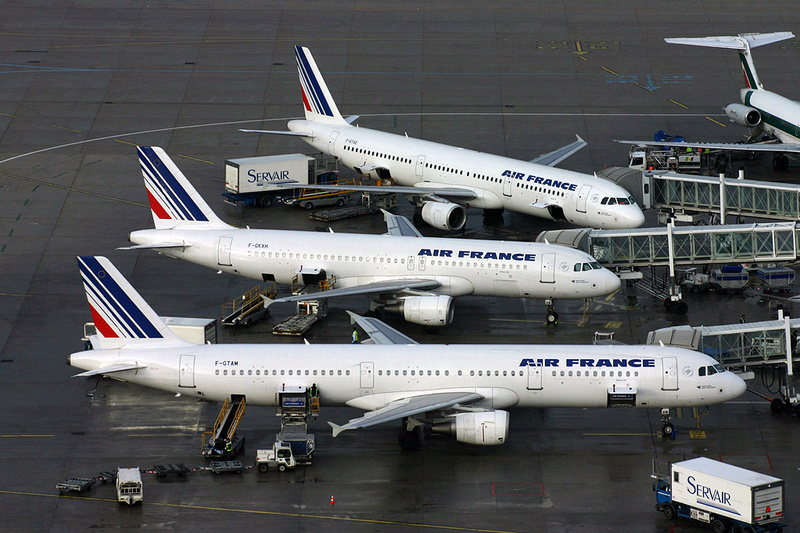 Air France’s fleet numbers 235 traveling to over 200 destinations worldwide. Reported employees in 2014 were over 69,000. Revenues in 2013 were reported as Euro 25 billion. If you have a problem with an Air France flight you may call 1-800-237-2747. For technical support call 1-800-992-3932. You may also call 1-877-247-9247. The main website will direct you to the language of your country. If you would like to contact Air France CEO, Frederic Gagey at the American corporate office, address a postal letter with Air France, Floor 2, 125 W. 55th Street, New York, NY 10019. The French address is 45, rue de Paris Roissy CDG, 95747 France. The US Air France headquarters office phone number is 212-830-4000. You may find assistance here. Air France began in 1933 and their slogan is ‘France is in the air’. Social presence may be found on Facebook, English Twitter, LinkedIn, Instagram and Pinterest. We flew business class round trip to Paris from Los Angeles. Everything was great except for the seats on the way home We flew on a 777 on the way to Paris which was great. But on the way home we were on a A380. The seats were so uncomfortable I could hardly stand it. They don’t lie flat and your legs are hanging down in a very uncomfortable position. The angle they lay down to is horrible. I will never fly on one of those planes again. I will be very careful to check and make sure I never get those kind of seats again. Lots of other people were also complaining. You really should do something about those seats. People need seats that lie flat not downhill. It puts your back in a bad place. I recently took Flight 0377 from Detroit to Paris CDG. When I arrived exhausted at 3AM my time, I left under my seat a mesh, zippered bag with a variety of cables, a pouch for my headphones and a round red and black zippered container. I filed a notice with your lost and found department but never heard back that was found. I find this hard to believe since the plane would be cleaned by Air France employees or contractors. How could they not find it? Do you have thieves among your cleaning crew or do they simply throw everything they find in the garbage? One week later, upon the day of my return flight 0378 from CDG to Detroit, I decided to visit your Lost and Found department at the .airport It was hard to locate the department but when I finally did, I was treated like a criminal. The first man to come to the small round window opening refused to even look for my item. The second man offered to look for my lost item if I paid him 12 euros upfront, which would go directly into his pocket. I refused. The third person to speak with me said there nothing she could do for me. The loss of this item represented a loss of almost $300 since it rendered my noise cancelling headphones unable to be charged and the zippered red and black containers housed my Bluetooth headphones. On top of this, we were constantly losing our reserved seats and our ability to check baggage (which was included in our fair), which literally took many hours to remedy. My meal request for Kosher food also disappeared. This was no way to treat one of your airline passengers given your quality pledge. my complaint is that when i reached my destination in mianyang china i had no luggage to collect as it was not there. i was told at newcastle that my suitcase would go through all the way to mianyang . and had ticket identification stating that. i have since been told at the mianyang airport that they believe that air france does not have agreement with shanghai for luggage to be forwarded onto another destination. I am raising an official complaint that I need your immediate respond and feedback to; This is Wael Ragai; Director of Sales at Marriot Hotels; passenger on Air France flight number AF1534 that flied from Paris on 5/3/2019 and arrived to Berlin same day. The purpose of my trip is to attend a critical conference at Berlin ( ITB travel fair) as per the attached invitation letter and conference agenda. I have lost my bag and till now I still didn’t received it which resulted not only to great inconvenience – arriving to Berlin with shops closed and not able to get my basic needs; but also; it resulted that I missed my urgent meetings scheduled in the morning of the following day where I am requested to officially attend with specific dress code and all my official documents were left in my bag, noting that my company has spent an amount of Euro 10,000 for me to present the full Egypt Hotel chain and by missing this meeting; we lost critical Sales opportunities for our company. Not only that; I am raising a serious complaint that my blood medicine called Xarelto was in my bag that is mandatory on daily basis and has a serious impact direct health and missing the medicine might results in critical health situations including heart attacks. I am asking for full compensation to the losses Air France caused to my company as well as the health risks that I am currently exposed to. In addition I am attaching the invoices of getting a full suit to be able to attend the second half of the day meeting that I require immediate compensation for as well. This is an example of very bad customer experience that I am really disappointed to go through and I am expecting Air France not only to take immediate action to compensate my physical, emotional and professional negative impact but as well to respond with a clear action on how such incident should not be repeated in future – knowing that this is not my first time that I travel on Air France and got my bag lost – it happened before in Paris heading to Spain and I didn’t complaint at that time as I was on personal trip and thought it was a one timer miss but seems this is the standards of big travel company like you unfortunately. I am seriously disgusted with Flying Blue and Air France. To understand my frustrations I have outlined the events of 28 January 2018 below. My husband has in excess of 38 000 miles available that must be used before May 2019. I called yesterday to redeem the miles for our upcoming trip to Sweden and Amsterdam. The consultant booked the miles flight and indicated that we would need to pay the taxes on this flight which was 98.71 Euros. We proceeded to book my flights and the other flights for which we did not have with the flying blue consultant. She quoted me R17355 which was great as the same flights would have costed us 33k on line. This is when things got tricky. After putting down the phone 3 transactions were processed, one for 98.71 one for 1535.61 and one for 1117.32. This adds up to more than 40 000 rand which is way more expensive than booking on line. I immediately called flying blue to cancel all the flights and they informed me that they could not do it despite the fact that I had booked it with them. Sorry you have to cancel with Air France as these are paid tickets. After that I spend almost 3 hours and spoke to more than 9 people who could not assist me. I was transferred between Air France and Flying Blue a dozen times. In the end I was so frustrated that I screamed at the consultants. The last person indicated that I should cancel it on line as that was the best advice she could give me. It is in line with Air France's Customer First Policy (which by the way is non existent and I will be taking it to social media). I proceeded to do this. I have now been partially reimbursed for the one flight, of the 1117.32 exactly 880.32 euros which means that I am paying for the mistakes of Air France and Flying Blue. I have been advised that the other refund is being considered. How in heavens name does one consider a refund if it is in line with your customer first policy to void the transaction if done within 24 hours. I will have no choice but to report Air France and Flying Blue in terms of the consumer act in South Africa. due to the incompetence of air france staff in south Africa my wife and I were jailed for 2 nights at the Paris airport jail. we were treated like animals. I wrote to the Ceo and did not receive a reply. all efforts to get attention to the denial of human rights has been ignored. I travelled by Airfrance 225 from New Delhi to Paris on 17th December . As I reached Paris , as a wheel chair patient I never was given a wheel chair . I was first made to walk till a cart , then transported by bus at two places . We all had to walk a lot . There were worst cases than me . This was not really a proper way to give assistance . I do hope that on my return flight on 28 th Jan I do not face the same problem in AbuDhobi .My flight booking is 9w/WIEMMO. Last weekend's Saturday (17th of November 2018) me and Mrs. Marina Stojanovska flew from Paris To Vienna with the flight nr.OS 7112 - our flight from Paris was delayed due to the last-minute gate change done by Air France. Just at the start of the flight we have requested the steward to inform our Vienna-Skopje flight officials about our delay so that they could wait for us. Unfortunately, due to this Air France mistake, we have missed our Vienna-Skopje flight and had to stay at the Vienna airport almost all day long to subsequently be booked to fly to Istanbul in order to get to Skopje in the late evening hours. Our whole Saturday was spent at the airports, whereby our family and other plans had to be disregarded. Please let us know how to proceed with our request to obtain financial compensation from the Air France. I Bought 4 Pieces of baggage when I travel last year on 30/11/2017, My confirmation number was LWKOVJ. But I didn't use 1 Baggage. Please send me an AMD for my Baggage because I will be travelling on 29/11/2018 that I can use Thank you. I was travelling with my colleagues from Berlin to Paris and was supposed to catch a connecting flight to South Africa on Thursday the 18th of October 2018. 2 Hours before departure from Berlin I checked in my luggage with a not very friendly staff memeber from Air France. My black colleague was behind me in the queue. The lady checked my luggage in, I went on to stand in the queue to go through security. When my colleague tried to check in the staff member said she must come back in 20 minutes she can not check her in. The Air France staff member had quite the attitude. I was horrified as she humiliated my colleague. I proceeded through security and was waiting to board. My colleagues did not join me and as time came to board I got worried and went back to where we checked in. I then find out our flight was delayed and we would not be able to make our connecting flight to South Africa. This was never communicated at any point, if I did not went looking for my colleagues I would not have known. We arrived in Paris and were handed new boarding passes for the next evening (Friday night) out to South Africa. 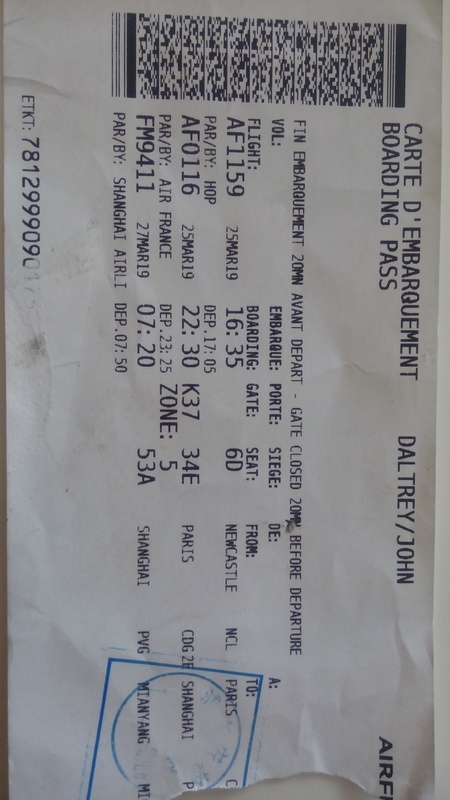 The next day I arrive at the airport to check in, and the Air France staff member ask me where I got my boarding pass. And that she can not locate my flight. I then tell her I want to see her manager. I am then informed that my flight was cancelled, and that I will be leaving on Saterday morning. I asked her why passengers are not informed prior to coming to the airport. She could not give me an answer. The next morning we are finally on the plane. But of course we are delayed by 45 minutes. I have never experienced such bad service, and racism from a airline company before. My wife and I have been flying AF to France for 25 years now and this flight will be our last time using AF. My wife is disabled and needs assistance with a wheelchair and this need was clearly printed on our ticket. However we had constant problems obtaining the service both going and coming from France. Then on our return trip we were put on an Delta plane which we clearly did not buy tickets for. Had we wanted the inferior service of Delta we would have purchased tickets for Delta. Next the food on both the going and returning flights was inferior compared to previous AF flights we have taken. Seems as though your entire airline has become second rate since the new CEO is no longer French. On our next trip we will be using another airline and will be expecting much better service. Our Reference # is ULA087. On June 14 2018 we had connecting flight to Paris ( fl no 118) and at the IAD airport we were offered by Aer Lingus staff an upgrade to direct flight to Paris instead of connecting in Dublin. As they told us they had such agreement with Air France. We waited 1.5 hr an they finally gave us piece of paper with some numbers and sent us to Air France desk. Air France looked up in their system and told us they do not see our names ( 3 people: Aneta Kondratowicz, Peter Larson, Paisley Larson ( minor 12 yrs old)) and also that their flight is fully booked and they don't have place for us and that Aer Lingus never checked their system to place any of us there. Air France staff told us that Aer Lingus did not rebook us onto the alternative flight of Air France. Air France staff told us they may find another flight for us 6 hours later. It cost us sitting all day at the airport spending money on meals and wasting time, to make it "super exciting" with child with asthma attack! 6 hours delay, missing arranged transportation to the hotel in Paris (which cost us later in train fees) and missing all day sightseeing Paris. We only had 1.5 days to see it and planned on it for 8 months. Air France told us that this is ongoing practice of Aer Lingus and they lied to us and that we should file complaint to them. Regardless of nice flight attendants, flight experience was just terrible and stressful. Cost us a lot of money and robbed us from so long planned day in Paris . I fly with Air France for last 16 years and it is disappointing finding out the direction their service is headed. 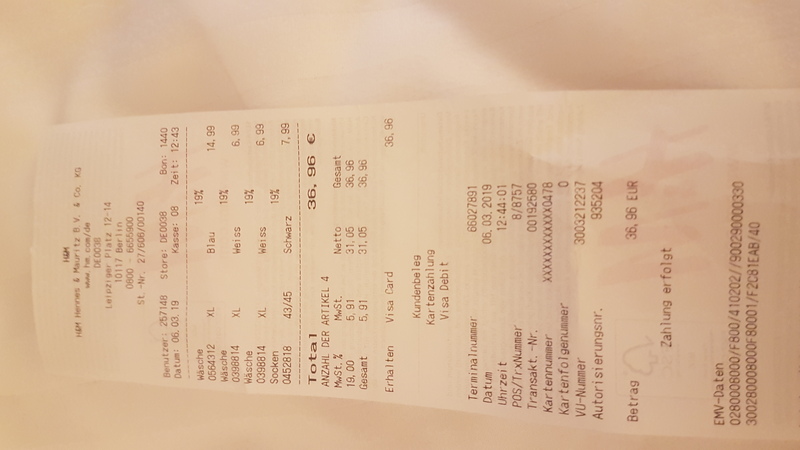 We are expecting full refund as well as cost related to day at the airport and transportation from Paris airport to the Hotel As well and monetary equivalent of trip to Paris for 3 people for 1 day we lost . 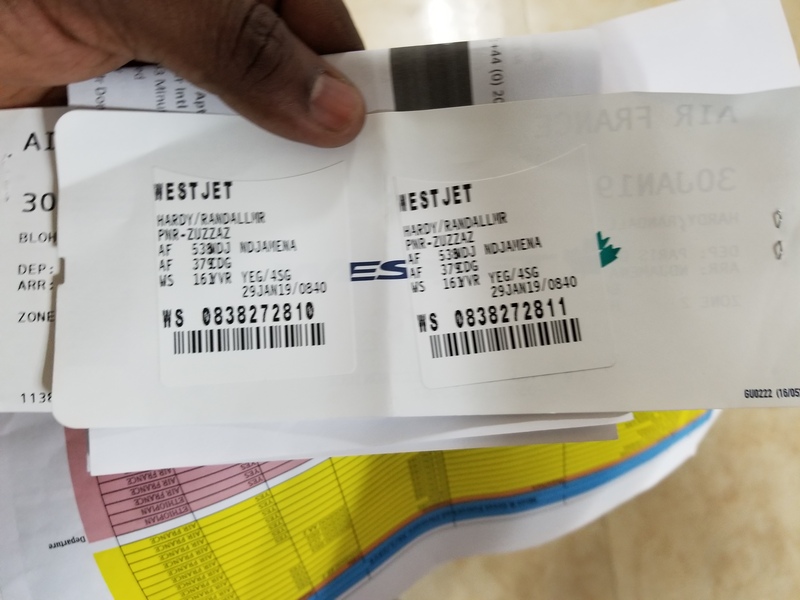 In response Aer Lingus send us their system records that in fact show they DID book us correctly at the Air France flight, which shows that we were lied to by Air France. Firstly, we greatly appreciate the fact that you volunteered to be put on the Air France flight to Paris as an alternative to the overbooked fight. Our records indicate that Aer Lingus staff members did in fact properly rebook you onto the alternative flight. Therefore, Air France should have accepted you onto their aircraft. Evidently, this didn't happen. We apologize that this did not happen, and for the fact that the alternative we offered ended up causing you great inconvenience. Below is your requested confirmation of the tickets issued. We are most disgusted with the treatment that we received flying with your airline. Departure time should have been 16.30 eventually we departed at 20.40 from Edinburgh AF1487, an sms was sent to us saying that connecting time unchanged. We paid an extra amount of 70.00 pounds for a two seater, we were placed in a row of four seats. On our arrival in Paris we asked a member of the cabin crew if we could embark first so as to catch our onward flight, we were told it was not possible. When we arrived we immediately went to Air France desk and asked if we were in time for our flight to Johannesburg, we were told the gates had closed. We were given a voucher for a hotel, and was told it was about a 10 minute walk, being strangers in Paris we left for the 10 minute walk, only to find out we had to take a shuttle and a CDG VAL train, this was a good half hour journey. As we are both in our 70s we found this most inconvenient, as we had to use the shuttle service again the next morning. On our arrival at Cape Town International we went to collect our luggage only to be informed that it was not on the plane, but we were assured our luggage would definately be on our flight. Our complaint is that we find this unacceptable, this flight arrived at 22.40 and by the time we left the airport it was after midnight. Instead of collecting our baggage on the 13th February, we have been told it will be delivered on the 15th February. We have had to buy clothing, toiletries etc. Flight AF 0864 Resa to Cape town on the 29th December 2017 I arrived without my luggage and had to purchase items while waiting for my case to arrive. As it was very hot I needed light items of clothing, shoes, underwear, and personal items from the pharmacy. Please can you tell me how I apply for my out of pocket expenses that amount to £220.00 I'm unable to scan receipt do you have an address to forward them to please. On the 5th of Oct my wife Morag McBride and my self travelled to Riga from Aberdeen via Paris unfortunately this did not happen.Our connection was missed no fault of our own therefore we were redirected via hamburg.We were supposed to be in Riga thurs 5th at 1.55pm did not arrive till friday 6th at 1am in morning so we lost a day of our holidays,and to top it all our suitcase arrived 2 days later this caused a lot of stress to us both. Also we spent a lot of extra money having to buy food in hamburg,also toiletries and some clothes one we finally arrived in Riga . Approximately a month ago, I contacted Air France about an experience my children faced when I brought them to the US. The ticket referenced was 0572383659912. Outbound TLV to CDG on 15 August at 0805. Return CVG to CDG 24 Aug at 1823. To date, I have not had the courtesy of a reply. I would still appreciate an explanation as to how this young family was harassed simply as a result of Air France's gate agent's inability to process their reservation properly for an infant in arms. Our suitcase was not on our flight when we arrived in Paris. We were told it arrived the next day. Instead of sending it to our rental apartment they gave it to a delivery service (ARC Transport). Three days later we still had not received the suitcase. We made numerous calls to the delayed baggage department to no avail. This certainly is a poor way to treat customers. On June 25 we checked in early for our flight to Paris, it was delayed for 20 minutes every 10 minutes. We talked to the people in the counter and they kept reassuring us we would make our connection in Chicago.Finally, the rebooked us with Delta via Boston, but we had to run to another terminal to get the boarding passes from Delta. So far, crappy, but not horrible. We get to Boston, run from terminal A to terminal E, and surprise, surprise! My husband, Alfredo R. Arnaiz, was not booked for the leg Boston/Paris with Air France. He had to run back to terminal A, found nobody at the counters, ran to the luggage pick up section until he found a Delta person. They booked him and he had to come back so that we could check with Air France. We were starting a four week vacation on the wrong foot! Of course we didn't get seats together, but that is another story. On July 24th, we took our plane from Madrid to Washington Dulles to make the connection to Seattle. When we got to the counter in Washington DC, they had already given our seats away (how can they do that if they know we are coming on another United flight from Europe? They know we have to go through security again?). So instead of taking the 3.30 flight to Seattle, we were booked on the 6.35 flight to Seattle. No apologies, nothing, the attitude of the counter personnel in Washington and in Seattle, was about doing us a favor instead of us paying for their salaries. I am going to Costa Rica in November and to Peru in January, and rest assured, after Continental/United being my favorite airline, I am now looking at other options. We left Newcastle late on Thursday 28thApril a 45minute delay and were transferred for our connecting flight to the wrong terminal 2E instead of 2F. As a result we missed our connecting flight to Zurich. The airport staff booked us a hotel for the night and for flight on the next day. We had to wait three hours in the airport before transport could be found to take us to the hotel. We got to Zurich on 29th April with no problem having been assured that assistance had been booked for my partially sighted friend for the journey back from Zurich to Newcastle on the 1st May @7.45. On our return journey we were left at the terminus and again assured that someone would come and take us to the boarding. Again no one came and we missed our flight. We nearly missed the 15.30 flight for the same reason no one came. There is really a big problem with the wheelchair company you use. We were advised by your Air France staff to complain. I have traveled from Vancouver, Canada on Jan 17 2016, Air France 379 V, reservation Y3K 1JK, ticket # 006 891747331. We arrived to Paris on time on Jan 18th at 8.35 AM, but I missed a connection to Prague scheduled to leave at 9.45 AM due to the incompetence of wheel chair assistance, namely the lack of attention at the transfer wheelchair desk while waiting for the bus. I told them time and time again about the tight connection, but they told me to wait for my turn until they told me: "You will not make the flight". There was still time to make it but they did not care. So I missed my flight and as a result nobody could pick me up in Prague when I arrived, which is a huge problem for someone who is in a wheelchair to start with. After a long flight overseas I had to wait for almost five hours to catch the next flight, at 13.20, on AF 1082. When I arrived at Prague at 1500, not only could no one could pick me up. but my bags got lost too. For the next two days I had to do without my bags, a great inconvenience considering that I needed my medication that was in my bags apart from warm clothes and the rest of my belongings. Everything was booked with Air France customer service and the fact that your subcontractors may be responsible is no excuse and with this letter I expect to be compensated for my complaint to the fullest extent that a reputable company like Air France can make possible. I traveled on Flight AF0513 from Port Harcourt (PHC) airport Nigeria to Paris (CDG) on Wednesday 27/01/16 scheduled to depart at 21.20. My complaint is that after the in-flight main meal I felt ill and as I got up from my seat to go the toilet I blacked out and fell on my back. I was helped back to my seat by fellow passengers and one of the flight attendants. I suspect the chocolate pudding served as part of the meal which tasted as if contaminated with jet fuel. There was a long delay due to refueling problems first attributed to the refueling equipment and a further delay attributed to problems with the aircraft refueling system. I spoke my GP Friday 29 /01/16 about the incident and met with her on Wednesday 03/02/16 for a check up to establish if any other underlying problem could have resulted in my inflight sickness.. She found no other problem which could cause such incident. I want you to be aware of the situation. Terrible hours, I had to pick up Air France in Dubai at 2am. Have some pity for passengers, some have little children. No leg space. Your airplane is filled to the last seat, too many passengers too few stewards and stewardesses. You keep the lights down, one cannot read, one cannot get up and move a little, we are your prisoners. The food is one of the worse I ever experienced. The quality is poor, and the bread is frozen. The stewards and stewardesses - too few for the large number of passengers. You are working them like slaves, it is unfair. They do not respond to your call, although they try very hard. Not fair. I am disappointed in Air France. In the past it was one of the best lines in the world. It is a shame to see the old plane, the small leg space, the belts that don't close and the tables that don't open properly. The whole plane is falling apart. Please check thoroughly and modify your entire system. We, husband and wife, age 81 and 82, were scheduled on Air France Economy Plus 0076 CDG to LAX on Tuesday, Nov. 24, leaving at 7:00 p.m. After waiting until about 10 p.m., we learned that our plane had mechanical problems and that we would be bused to a new plane where our luggage and food from the original plane had been transferred. We went down very steep narrow metal stairs in the rain to the bus. Then we were bused around, while standing in the bus, for about 25 minutes, and then returned to where we had started, with no explanation! Back up the steep narrow metal stairs in the rain, with our carry-ons and jackets in hand. No explanation and no one there to help us or tell us what we were doing or where we were going! This was not easy for anyone -- not to mention 82-year-olds. We then learned that we would be spending the night at an airport hotel and given a voucher. It was now about 11:00 p.m. We were given very few instructions on how to get there, which included a train ride. We were told to report back to area 10 at 7:00 a.m. ( We later learned that Economy Plus should have gone to Area 7. ) When we arrived at Area 10 at 7:00 a.m., about 150 fellow passengers were in line, but no Air France agents were present! After this was fixed, we went to our gate, and learned that our new flight would now be one hour late. Little effort was made to make this go smoothly. Because of our 16-hour delay, we learned at LAX that the driver we had scheduled to pick us up at LAX could not meet us, and new arrangements had to be made, causing us another two-hour delay, on top of a day and a half of traveling, with about 2 hours of sleep. We arrived in Rome from Paris and was told that one piece of luggage was back in Paris. We stayed in the airport all day waiting for it to arrive on a later flight which it did. Not so bad except for the waiting. On our way home were travelling from Paris to Montreal. I had a standard pull type carry on which has been my carry on for at least 20 flights including Air France!!! The gate attendant told me that the wheels were too big and she took it away. We haven't seen it since!!! We have tried everything. Westjet being our final destination has also worked hard to bring it home. According to Westjet the carry on is in the Paris airport but air France will not cooperate and send it to Edmonton. We are very frustrated because many of our valuables and gifts are in there because of course we were carrying it on to keep them safe!!! It has been 2 weeks and no luggage!! We probably never will get it and we will never fly Air France again! On a Air France flight Paris to Rome and then to Montreal an Air France gate rep. asked my wife to give her a small carry-on bag that was airline approved.We had used this bag numerous times including Air France flights with no issues. We expected to get the bag in Paris but no such luck,We were then told it would be in Montreal -did not happen. We filed a delayed baggage claim however after 11 days the bag still missing. The baggage reps in Edmonton,Alberta (our final destination) have told us the bag is still in Paris however Air France does not reply to their requests to send it to Canada! I will never fly Air France again. As we planned a vacation to the French Rivera and Italy from June 12 to June 29, we scheduled flights on Air France from Chicago to Paris to Montpellier to Paris to Rome. After we arrived in Montpellier, we received a message on our E Mail on Saturday, June 13 that our flight from Paris to Rome, AF 1604 on Tuesday, June 16, was cancelled and that Air France would schedule an alternate flight from Paris to Rome. However, but by Sunday evening, June 14 we had not received any contact from Air France telling us of an alternate flight. Consequently we spent nearly two hours arranging an alternate flight from Paris to Rome: FL 1304. The representative from Air France gave us this confirmation number: 34FKHO, but asked us to contact us again Monday night to confirm this new reservation. Air France never sent an email confirming our new reservation and when we attempted to call Air France as you requested on Monday night, it was impossible to reach you. Consequently we called Grand Circle Travel in Boston who were not immediately able to confirm our new reservation. The result is that we spent nearly three hours finalizing our new reservation on long distance phone calls, an inconvenience that could easily have been averted if you had been as quick to send us an email confirming our new reservation that would have given us a peace. We easily remember how our entire Italian vacation had been interrupted by your frightening email that our original flight had been cancelled and no subsequent flight was arranged. We can only speculate what a horrible experience we would have had in Paris had we not personally secured an alternate flight but had relied on your airlines to handle the problem only when we checked in with Air France on June 16. Do you depend on all of your customers to arrange alternate flights on their own and never sending them any kind of confirmation? When we checked in with Air France on June 16 at Montpellier we asked the Air France representative to tag our luggage "Rome," our final destination. She informed us that we were only booked through Paris, not Rome, despite the hours we spent arranging the alternate flight to Rome. We did not understand why this flight did not appear in the computer system. Consequently, we were greatly inconvenienced while the attendant finally secured our Rome flight and sent our Luggage directly to Rome. Why didn’t our alternate reservation and confirmation number appear on her computer screen? None of our experiences were user friendly. The inconvenience we experienced made us wish we had used a different airline. At least we will do that when planning our next European vacation. i have been trying for 2 months to get money for reciepted expenses due to my delayed baggage! They are claiming my private travel insurance has claimed for this yet my private insurance denies making any claim as we had not supplied receipts nor instructed them to do so. Air France refusing to pay what they owe. Have been abused on the phone twice, called a liar and also hung up on whilst trying to get info. Slander accusing me of fraud. NOT HAPPY! Air france lost my bags claim # fdfa50547 The agent went to get me a toiletry kit tooth brush paste etc after 1 hr he never returned. Then I saw him when I was boarding my return flight asked him what happened he said he got busy and forgot. Bottom line I want the toiletry kit promised. Is this a example of your best customer service? and why did I have to wait 1 hr for nothing I said to the smile lying agent. Thank you in advance for your help. my first trip on air france from casablanca to istanbul via Paris. I was very enthusiastic to fly on air france for its good reputation. However, I have encounter a devastating situation that I would like to pass it to you. After I have picked up my boarding passes me and my wife we headed to passport control in casablanca airport. The passport control did not let us through saying that we did not carry Schengen visa. I carry kuwaiti passport and my wife carry's moroccan passport. I explained to the passport control officer that we are only transfer passengers. However, He refused to let us through passport control and send us to france air counter in order that they stamp the back of our braoding pass. Me and my wife headed back to air frace counter again and explaind to them passport control request. The lady at air france said we can't help you here and we have ecountering this problem beacuse people go to Paris and request refugee. therefor, she sent me to here sperior in air france box at the airport. I explain to the manager the issue and asked for a sloution and told him I'm not happy with this matter since I paid in full and I'm geeting no service. I was littel upset beause of the unclear situation. The manager answered me loadly and unresponsivly saying if you don't like the sitution leave you boerding pass at the counter. I headed to the counter left my boarding pass came back to the manager asking him for a soultion either I fly or get my money back. At this point the manager got very angry and shouted at me saying go pick up your money where you paid it at with disrespect. I answed to him this is not they way you answer a cusomer you should talk to him with respect. The manager started to talk with me in bad language and swear at me. Then directly I headed to police station at the airport wher I explain the issues to the police officer on duty. Immediately the officer headed to air frnce manger. After few minutes the officer brought back my bordering pases and toke me directly to passport control and cleared me from passport control. I arrive to the gate at the very late minutes befor departure. My husband and I went to Frankfurt, Germany for a weekend trip from Paris, France. My husbands luggage arrived, mine did not. We went to the counter and they said it ended up on the flight that will be here at 5:50 PM. We decided to go ahead and go to our Hotel then catch a cab back to the airport to pick up my luggage at 5:50 PM. We got back to the Frankfurt Airport and we are told my luggage is on another flight and they can deliver my luggage to our Hotel by 12:00 PM the next day. I say okay, give my Hotel information and head back to our hotel and just deal with the lack of belonging for one night. 12:00 PM the next day comes around and no luggage has arrived to my Hotel. My husband calls the number we were given; over about a 7 hour period of calling and waiting then calling again we were told numerous things. First it was in process, it is on the next flight, it's boarded... By the end of the run around and headache we were last told that my luggage is still in Paris and will be on the next flight. My husband then requested that they just leave it in Paris since we would be leaving Germany Monday to return to Paris. They gave us the okay and said the will contact CDG and have my luggage held there for us. Sunday morning I get a text message saying my luggage has arrived to Frankfurt Airport, then another text immediately following that one saying discard the last message my luggage is being held in Paris. Later this same day we get a call at our Hotel that my luggage is at the Frankfurt Airport. We taxi to the Airport again and pick it up. This entire weekend trip ended up costing us way more than expected due to the taxi rides back and forth from the airport and purchasing of necessities that were in my luggage. I also went the entire trip without my meds. Worst experience with an airline we have ever had. Who would have known a one hour and 20 min flight could go so left. My wife and I had built up 2500 flying blue travel miles over the past few years. One day, I looked up the current mileage and found that it had been wiped out with no prior notice as far as I can see. Soon after, the same thing happened to my wife.. We fly to France at least once a year, but I no longer even look at Air France as a choice. What does it cost them to keep the miles on hand? What a non friendly gesture! We know that customer service in France is not generally considered as being as at high a level as it is in the United States, but I had always held onto the wonderful level of service on Air France as a challenge to that generality. How sad that I am being proved wrong! I am writing to give you details of my dissatisfaction with the service/flight arrangements we received from FLYBE for myself and my girlfriend. In connection with the above flight details AF6525 (outbound flight) we were suppose to depart at 14:10. We eventually departed 3hrs later only to find out we had to land again in Southampton due to technical problems. On the ground the plane was checked,refueled and it was decided that it was safe to fly. Which took about a hour from the time the Captain made the announcement. Eventually we arrived at Bergerac at about 20:30(local time) instead of 16:45 the intended arrival time. Unfortunately things just seemed to get worse on the returning flight AF6524. The flight was supposed to depart from Bergerac 13:25 at 16:20 we eventually got told that the flight was cancelled. It was arranged that a coach would meet us at 17:30 and we would be put up in a hotel for the night. The next day the coach brought us back to the airport at 10:30 only to find that there were no staff or FLYBE representatives to assist us. And later finding out we would have to wait until 14:45 to catch a flight to BIRMINGHAM!! and then take a three hour coach to Southampton. We eventually made it home at 21:30 the following day. Having spent almost two days sat in a small airport in Bergerac with limited facilities. Under the EU DENIED BOARDING REGULATION 261/2004,we are entitled to compensation and look forward to receiving this within the next 14 days. Attached please find the receipt for the flights for which we expect a refund and compensation for the inconvenience caused. Simply the rudest crew ever! On a flight home from Italy we had a transfer to Air France from Paris to the US. From First/Business class to the last row of the plane these attendants (all women) were rude! They all spoke excellent English with almost no accent and would prentend not to understand you, if they responded to a question you had been snapped at. Most everyone on the plane was of the same opinion and commenting how they would avoid this airlines in the future. There were some other issues as well like trying to upgrade to business class long before the plane was leaving and being denied the opportunity despite the plane being 1/3 full and 90 occupancy in First Class. They were just unwilling to help in anyway. In the gally they were all having great fun with one another, reading and passing fashion magazines laughing and joking and then returning to the passengers with scowls on their faces. i was on air france flight to maritius a couple of years ago where my luggage was lost somewhere. i was told to spend up to £250 per person and keep my reciepts so i can be refunded. I tried for a whole year to get my money back, air france has done absolutley nothing about it. no response, no money, no contact. Since then i am trying my hardest to advise anyone thinking of using air france, DONT. i’ve travelled the world on many flights and air france have to be the worst! I am Goyal Kritika. student from INDIA boarded on air france flight no. AF/7G93FM on 30 dec 2010. our baggage were lost, we made a complaint register in lyon our destination place. they told to inform us on arrival of baggage within 2 days. but we received our baggage on 4 jan 2011 in the evening. after continuous track and complaint to air france. i received my baggage in broken condition. the lock of my bag is lost. few of my articles are missing. i have not asked for the compensation of those articles. but now i am asking for the compensation of the articles as well since we are student, we suffered a lot. we ask for compensation. i send all the bills i had on address as per asked by airport authority. i did not received the compensation even after 3 months. now my compensation is of about 30 euro per day. from 30 dec – 4 jan. now i really want the compensation, as a student i need money. even to post all the bills i have to pay 1 euro. i want the compensation for all the expenses i made to cal, post or purchase goods due to this damage. if not received compensation in a week, i am going to file a complain against air france. I traveled from Paris to Delhi on 19.02.2011 by Air France 226. My check-in suitcase (New Aristrocat hard trolley) was damaged and the Delhi airport staff issued me the Baggage Damage report (DDP DEL AF 21968) and assured me that the suitcase will be either repaired or replaced within 3 day, at my residence. After lot of followup with Air France Baggage service, the damaged suitcase was collected from my residence only on 26.02.2011, with another assurance that either the the repaired suitcase or the new suitcase will be delivered to me within 3 days positively. When nobody bothered to contact me, on 3rd march,I tried to contact the person, Mr. Vivek Agnihotri of Sherman Baggage Services, who arranged collection of my damaged suitcase, on phone about my suitcase and he arrogantly told me that my bag has not been repaired and he cannot confirm, when it can be repaid. Immediately after, I contacted AF baggage service on phone on 011 4963 8128 and after no response on 17 occasions, one Mr. Rupesh finally picked up the phone and after keeping me on hold for 5 minutes, he assured me that my repaired suitcase will be delivered to me positively on 7th March morning. When I did not receive my suitcase on 7th march, I tried to reach Mr. Rupesh and somebody in Air France Baggage and was told by a lady that my suitcase cannot be repaired and she could not tell me what to do now? I know I did a mistake by traveling with Air France. Can anybody inform me whom to contact to get my suitcase back or replaced in Air France? I will be obliged and assure you that i will never do this mistake again and i will never allow anybody, known to me, to do this mistake. Dear Concerned, I have travelled on flight no AF 226 on Air france from LA to New Delhi via Atlanta and Paris( DL 2154, AF 681) on 16th & 17th Feb. During the flight my two suitcases were onboard and i was carrying two I-Phones and few watches and perfumes etc in one of my bags, contents of the same was checked by your staff at LA airport and after landing at New Delhi also. My I-Phones costing around 1300 $ were found missing at New Delhi Air port which i reported to your ground staff at Delhi on 18th Feb. Those phones have been stolen during my fight by one of your staff member which is an extremely shocking, specially in such a reputed fights like Air France. I am really astonished how someone working with Air France (World’s Best Airlines) could steal contents of luggage of their passengers. If this kind of reputation Air France has, then nobody would like to travel through this fight in future. I am attaching my boarding pass and receipts of I-phones purchased in US. Please do the needful to trace my missing phones or refund me the equivalent amount of cost of my phones. Looking for a prompt reply. I have been making international travels quite a number of times by a number of Airlines in last 6 years. But Air France is the first horrible experience. They had overbooked the flight we (I my wife) were supposed to fly. Since their evening flight was not fully booked, they pushed me down to the evening flight. This trick they have played on many other co-passengers. And we had to wait for another 8 hours, inside the airport. Once I returned to the USA, after my vacation is over, I am going to take my Lawyer help to see what options I have to sue Air France. So one simple way is, Avoid Air France. The Air France people really “Don’t care about the passengers”. They don’t even care to pretend they care. I recently purchased two full fare premium economy tickets on Air France leaving Seattle to Paris with a 3 day layover then on to Italy via Air France. Given the general strike in Paris and our expected arrival on October 21st (the day Parliament votes on the pension change), I called Air France to request moving out departure flight from Paris to Italy to the same day as our arrival in Paris, October 21st. Thus avoiding strikers and fuel lines in Paris. The ticket agent stated this change was in excess of $4, 000 for only changing the Paris/Italy segment departure date. Obviously Air France does not care about repeat business, rather totally into screwing their customers for all they can get with no concern for repeat business! I have NEVER experienced the kind of customer service nightmare I am currently going through with Air France. Due to bad weather in Paris, our flight out of SF was delayed for 5 hours. When we finally landed at Barcelona at about 11:30 pm, our luggage (and that of most others on the plane) was not there, even though they had 5 hours to transfer it from one plane to another at the same terminal. After literally dozens of phone calls to Spain, France and the US, and constant checking online, we still do not have our bags, after 7 days! I have received nothing but officious, rude service, and outright lies from nearly everyone I’ve dealt with at all levels of Air France — no firm answers, no apologies, no accurate information — just continuous delays and hours waiting on hold. NEVER AGAIN WILL I FLY THIS ROTTEN AIRLINE! Have feedback for Air France?